iOS Release Report Nr. 3: Game of the Day! 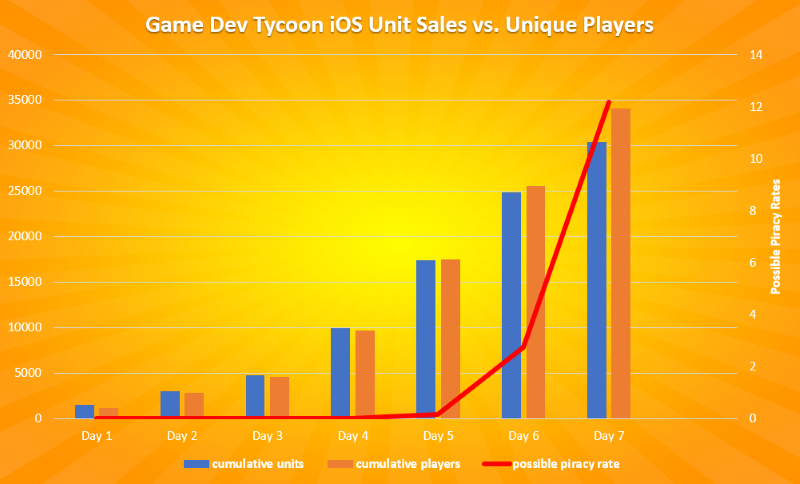 This is part 3 of our Game Dev Tycoon mobile release analysis. Part 3: Game of the Day! 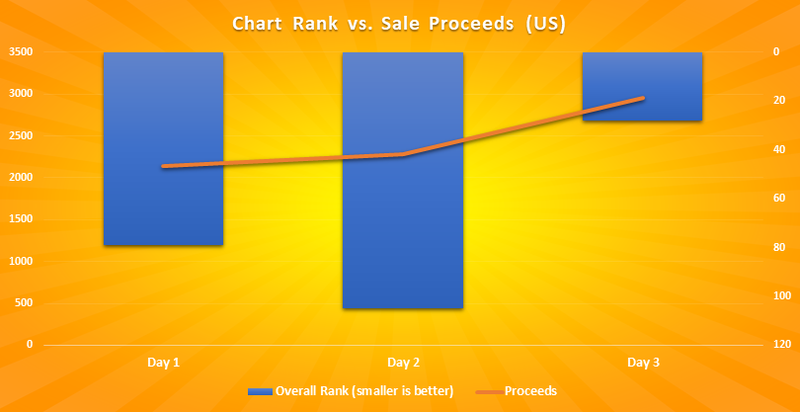 In the last report, we saw a steady increase in sales with day 2 growing by 7% and day 3 by another 11%. Day 4 saw us featured in several markets as well as receiving a much-coveted “Game of the Day” feature in the US market. This is our first published game on the App Store but the idea we got from talking to other developers was that a feature in the US is essentially hitting the jackpot. Other than somehow managing to go viral (which we didn’t attempt), this is the best-case scenario for exposure within the App Store. 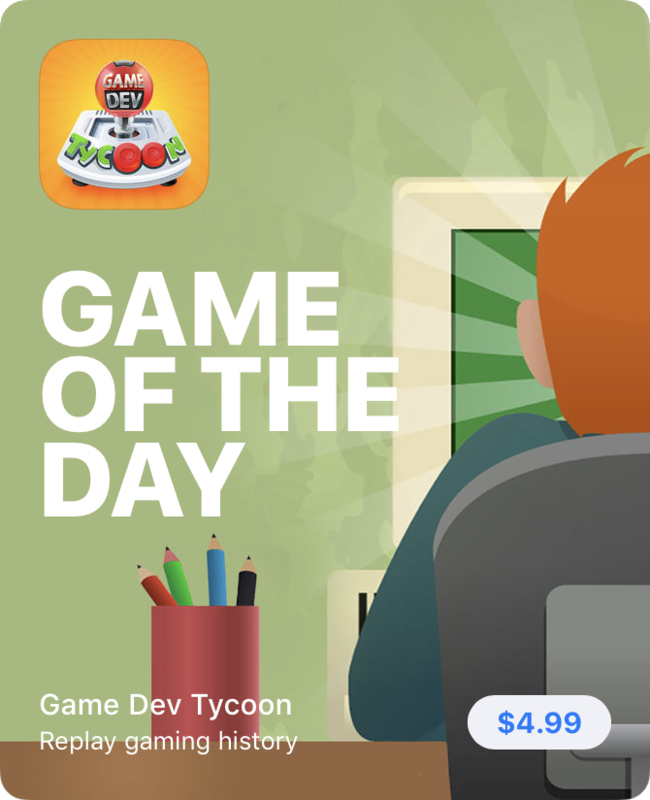 I should mention that Apple prepares these features well in advance and for new games they ask for at least 6 – 8 weeks lead time so the “Game of the Day” feature was definitely not a reaction to our launch experience but planned ahead of time by Apple. In a later postmortem, we’ll go into more detail of how we tried to make it easy for Apple editors to feature our game but while we were hopeful about a feature we did not know if, when or where such a feature would happen. To create your first game, pick a platform, topic, and genre, as well as specific elements – like level design, graphics or sound- to focus on. Minutes later, your new game has launched (things move fast in this world), and you can see how crucial those decisions really were. Perhaps devoting resources to sound instead of dialogue limited the appeal of your mythological RPG. Or maybe it was choosing to build a rhythm-based adventure that doomed you from the start. The Apple editor(s) really got Game Dev Tycoon and highlight the thought processes potential players would go through while playing the game. The feature ends by highlighting what the progression of the game is and what late-game challenges it provides while also touching on the motivation that makes playing the game so rewarding. As a developer, I’m used to describing Game Dev Tycoon and I’ve also seen a fair share of reviews of the game but this feature from the Apple editors is one of the best descriptions of what Game Dev Tycoon is about. I simply couldn’t have hoped for a better spotlight. Our ratings from players in the US were are also very strong. We currently have a rating of 4.9 stars out of 869 reviews. With all this good news, let’s have a look what effect this had on our sales. 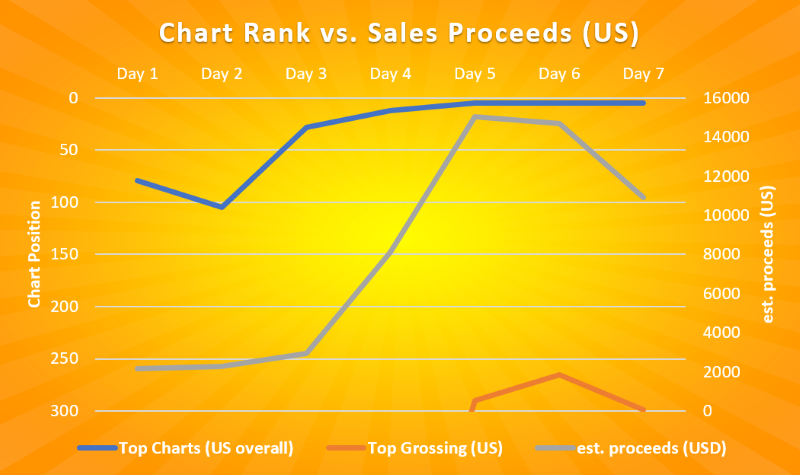 When the feature kicked in on Day 4 we sold 196% more units than the day before and Day 5 saw another 45% increase. Day 6 saw much the same results but Day 7, our latest data point, shows a -26% drop in sales. I am not sure if we can share conversion rates and impressions (will check with Apple and, if possible, share it in a future report) but, given the massive exposure the feature had, we hoped for a little more sales as a result. 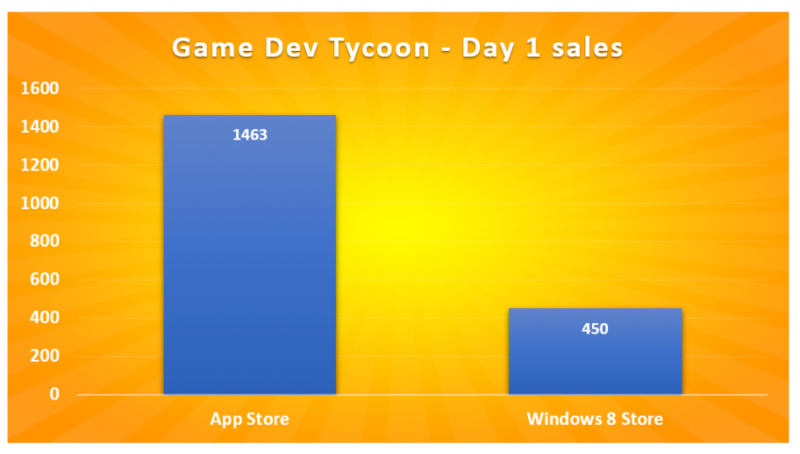 We don’t have data from other games as a comparison so we don’t know if this result is simply because Game Dev Tycoon is serving a niche in a mainstream market or if we made some mistakes on the Store page itself. Whatever the reason, it is likely both our own fault and simply the market itself; we couldn’t have hoped for a better representation from Apple or our players and thus can’t complain. This feature gave us a much needed boost and put the game in a good spot in the charts which will hopefully guarantee us continued strong sales for a little while longer. We topped the overall US charts at spot number 5 on Day 5 and, despite the nearly 26% drop in sales on Day 7, held that position. Interestingly, we never even got close to the Top 100 or even Top 200 Top Grossing charts, the closest we got was on Day 6 with a ranking of 265. This just highlights again what every mobile developer has always told us: the App Store is dominated by free-to-play games, don’t expect to hit a jackpot with a premium game. Thankfully for us, we didn’t port the game to hit a jackpot and with the new sales data it looks likely that the port will be profitable. In the past reports, we talked about a likely piracy rate of 0%. We are now getting some hints that this might be changing. This graph compares the total confirmed unit sales (in blue) to the total tracked unique users via analytics (in orange). 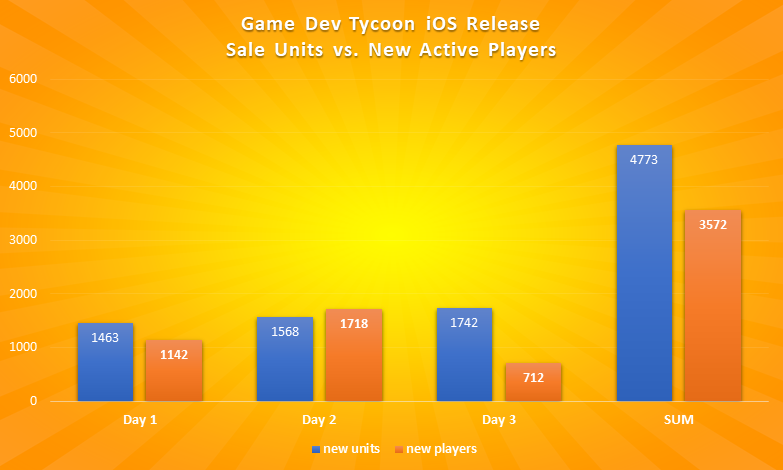 As you can see the first days the total unit sales where equal or bigger than the tracked users but starting with day 4, this changed and by day 7 we see a dramatic rise in the difference with 12% more players than sales. I don’t know how Unity analytics tracks unique users in detail, so it’s safer to assume that it doesn’t track legal installations on multiple devices or installations through family-sharing (which we support) as one single user. This could explain the difference but even if we can’t make a clear call of what’s piracy and what’s just legal usage, it will be interesting to see how this difference changes over time. I should also mention that we have seen some activity on the web that suggests that there are illegal copies of the game in circulation. Depending on how these copies are cracked, pirates could potentially not show up in our analytics at all. We might be able to share more data on this in future reports. We will see if we can make enough to justify investing again in such a big premium game. The amount of income that is required for our business to develop a project like this is quite staggering. Current day taxation systems really aren’t ideal for businesses that have most of their profits in a single year but then consistent expenses in the years afterwards. Australia has a company profit tax of 30% which essentially means that, in order to make a game with $190K again, we need to aim for a profit of at least $271K ($271K – 30% = $190K). In other words, if we can’t invest in a new project in the same year that we make our profits in, we need to make 42.8% more money to spend the same amount again ($190 + 42.8% = $271K). This brings our revenue target to close to half-a-million dollars or 128K full-priced unit sales. On one hand this is an overly cautious calculation because it assumes that we cannot offset any of our future expenses in the year we make the profit, but on the other hand it also assumes that all the initial investment is an expense in the same year you make your money back (which sadly isn’t the case for us). It also doesn’t plan for any kind of margin. 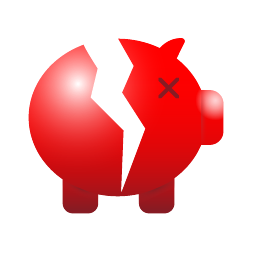 If your next game then fails, which is statistically likely, you could still be out of funds and out of business. Interestingly, this is pretty much the same reason why a lot of Game Dev Tycoon players go bankrupt at least once. They make a hit-game as a small team, make millions and then overstretch by growing too fast and trusting too much that the next game will be an equally big hit. Moments later they cannot pay their staff anymore, the bank comes knocking and Electronic Mass Productions buys their IP. Thankfully, we have a buffer from the success of the PC version but it’s no wonder indie studios don’t risk their money on expensive premium games much. It seems simply too risky. Hopefully for us, our growth curve will continue to be at least steady a little while longer and, together with the Android release, allow us to reach that goal. You can comment on this post here. Part 4 of our report, is here. 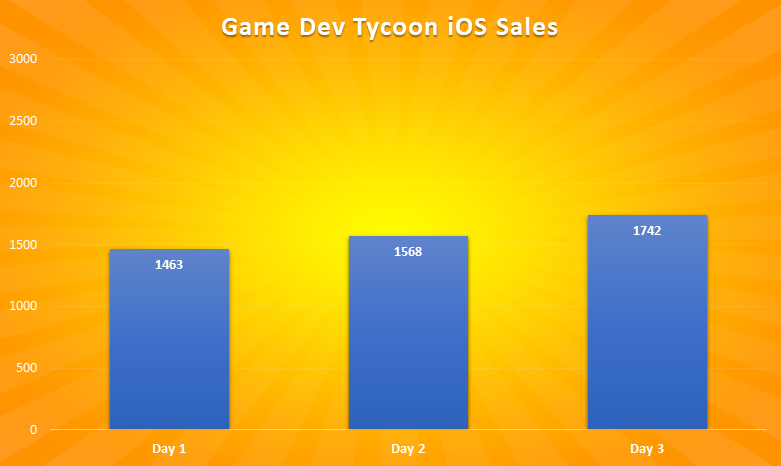 This is part 2 of our Game Dev Tycoon iOS release analysis. 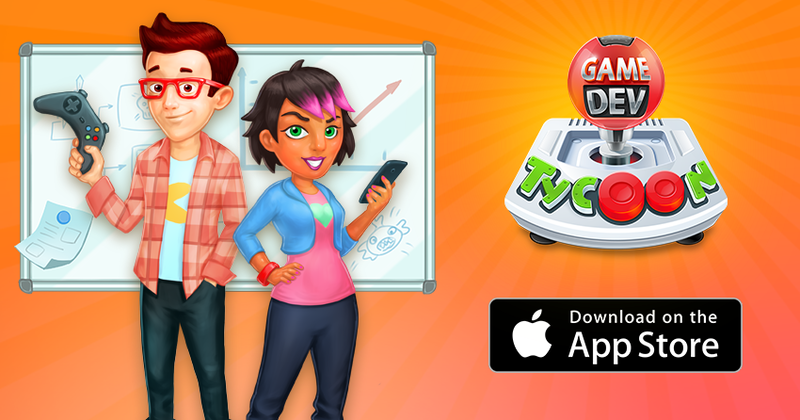 If you haven’t seen Game Dev Tycoon on the App Store, you can check it out here or simply click on the image below. It took me nearly a whole day to compile the first report so for the second report we already have data for the next two days after release. We also have some reactions to our first report and some clues of what the next days might hold but first let’s take a look at the data. Day 2 and 3 showed a steady increase in numbers. Day 2 unit-sales grew 7% to 1.5K and day 3 saw another 11% increase to 1.7K units. Because we did not repeat our piracy experiment (see part 1 for reasons why), we cannot easily observe piracy rates. 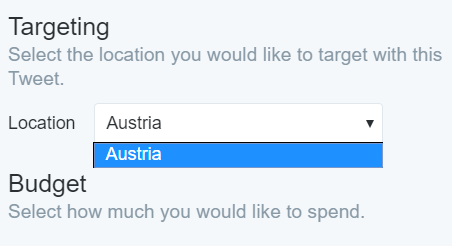 What we can do is compare our Unity analytics (essentially anonymous statistical data) with our purchase numbers. Ordinarily I would caution that this is inherently imprecise and becomes more useless with each day as one legal purchase could be (legally) used on multiple devices and even by multiple people (we support family sharing both on Steam and on iOS) but looking at the data I should not have worried. According to Unity analytics we had 3,572 new players across all three days. This stands against 4,773 sold units during the same period. This suggest a piracy rate of 0% and indicates that 25% of people who purchased the game haven’t had a chance to play it yet. This is in stark contrast to our experience on PC – Part of the reason we never published Day 2 stats for our piracy experiment was because by the time we looked at the data, there were so many players and so many pirates playing the real game (rather than our joke one) that it was impossible for us to make an insightful call to what the actual piracy rate was – well, other than saying still pretty high. It will be very interesting to see how this will play out in the next weeks and even more insightful to see how the Android release in January will compare. Particularly noteworthy is that 26.5% of players reached the last office. This number is surprisingly high 3 days after release, especially since it takes around 7 to 12 hours to complete the game if you don’t go bankrupt (and most players go bankrupt at least once). After day 3, 250 players rated the game with an average of 4.8 stars which means our rating is keeping very steady. Most lower ratings are, as before, due to a problem where the game can stall on iPhone X (not everyone is affected but if you are, please try to logout from Game Center and then in again). – We are deploying a fix for this right now but it still has to pass review. According to App Annie day 2 saw us drop out from the Top 100 charts but thankfully we improved substantially on day 3 reaching the Top 28 in the US. Interestingly, this volatility is not reflected in our proceeds which is visible if we overlap the charts data with the proceeds from the US market. Given the relatively small sample size here (we are still just talking about 1-2K units) this might just be natural fluctuation on the App Store but it’ll be interesting to see how closely our proceeds will match our chart position. We sent out another newsletter last night and I’m happy to say that the open rate was better compared to our announcement post. The click-rate in particular was more than double. As people pointed out yesterday, our announcement title was self-explanatory and didn’t mention new features so many readers simply marked the email as read once they read the subject. We also received multiple emails that reported our newsletter landing in Google’s ‘Promotions’ tab which, I suspect, very few people actually read and has been dubbed ‘The Death of Email Marketing’. Yes, our announcement was a promotion and is marketing but it’s a pity that Google would lump our once-a-year important email announcement into the same category as daily sales emails. Others also reported seeing the newsletter in Spam which also surprised me because our Spam-report rate is very low (0.003% vs. industry standard 0.02%). In the end I think we just have to accept that an open-rate of 40%+ of yesteryear is no longer feasible and also admit that there is room for improvement. I know our subject lines could be better, it’s a topic I struggle with because I really dislike click-bait subjects myself but there must be a better way to be both informative and interesting. 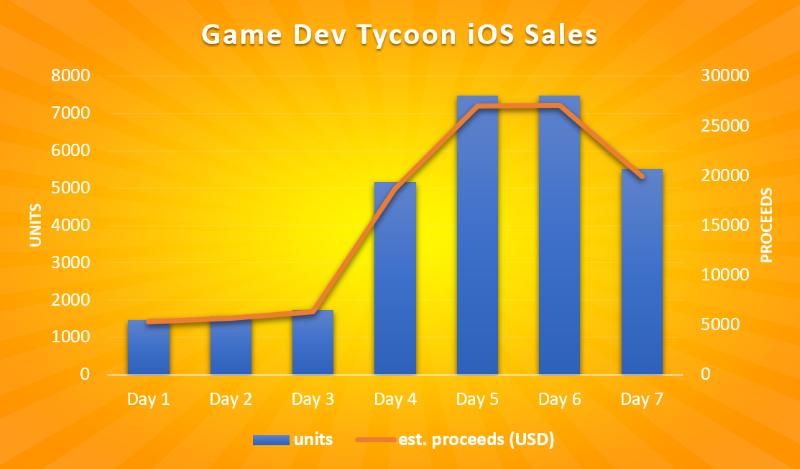 In our Day 1 Report we stated that Game Dev Tycoon iOS cost us 190K and a few people reacted to that saying that the budget is way over the top. I should start with saying that we budgeted for 120K, the rest was, well, unexpected but both we and the developers of the port Rarebyte believed that a good performing port needs to be of high quality. The game experience needs to feel right and not just be a function-by-function copy of the PC version. I think it’s also an easy mistake for developers or designers to severely underestimate the complexities of a different game. Game Dev Tycoon isn’t as small as it may seem. The original PC game has over 30K lines of handwritten code, was developed over 1.5 years and has nearly 20K words which appear in the game. The port by Rarebyte (from HTML5/JS to Unity/C#) took over 3,000 hours over nearly a year to develop. The budget isn’t just development either, it includes marketing and other expenses. The bottom line is that if you run a game development studio as a business where you pay everyone on the team a fair wage and where your own time isn’t worthless either, then game development is really really expensive and risky. That’s especially true if you then factor in the real amount of cash you need to earn to even get that budget together in the first place but that’s a topic we will explore in a proper post-mortem. Why not make a new game instead? The other sentiment that came up was why we even spend effort to port an old game instead of making a new one. The main reason it took us so long to get Game Dev Tycoon for Mobile off the ground was because we didn’t have the human resources to develop both a new game and a port and strategically and creatively a new game seemed more important. We still wanted to do a port simply because so many people asked for it but finding a development partner you can trust takes time, hence the delay in Game Dev Tycoon appearing on mobile. Are you only marketing to people who own Game Dev Tycoon? In the first report it seemed like we only used our current fans and reach to market the new release. I didn’t mention it before but we contacted nearly 300 journalists and several influencers during the lead-up of the launch and most of the review coverage is a direct result from that. We also set a review embargo for release day to try to get as many clicks on the App Store page as possible on day one. I think this would have worked fine if not for the link not working. 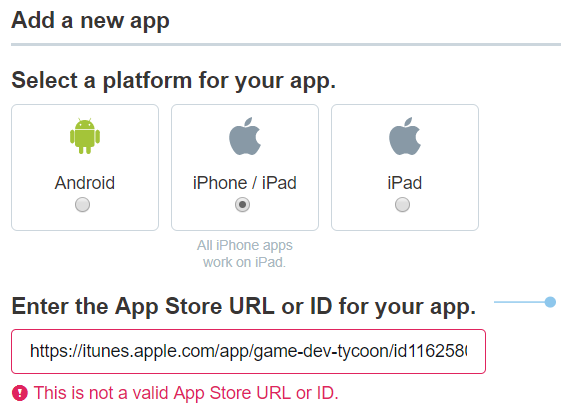 As I also said in the previous report, we would consider a soft launch next time we launch something on the App Store. To close off this report, I wanted to give you some insight into live data that we are seeing on Unity analytics today (this data is a bit more up-to-date than our other sources). Unity analytics show that 1.7K units were installed in the last 14 hours, which suggests that day 4 will be our strongest day yet. In addition, App Annie shows us that we are featured in 15 countries on both the iPhone and iPad home page today (yay!) so we can expect an upwards trend. We will report on the results of the next days early next week. Continue following our story in part 3. We decided before the release that we would try to share sales data with the public after checking that this is allowed with our contact at Apple. This is in part so that other developers have more data to make decisions on, and also gives us a chance to talk more about the release, instead of only re-sharing positive coverage. Here’s the data from our release day (one day delayed because of how the data is collected). Unity analytics users: 1,271 players. We did not repeat our piracy experiment because I don’t think we are legally allowed to publish an iOS game outside of the App Store, even if it were a joke version. Looking at our data however, and seeing that the actual users are in fact lower than the purchases, suggests that there is a piracy rate of 0%, which would be incredible. Players had a great time playing the game. On release day we got 86 ratings with a total rating of 4.8 stars, or as Game Dev Tycoon would say 10, 10, 10, 9 (thanks, All Games 😉). Seriously though, the only visible low rating was due to an issue where the game can crash on iPhone X – fair enough and sorry, we are investigating (if you have that issue, please try to logout of Game Center and then back in again or get in touch with us via email). 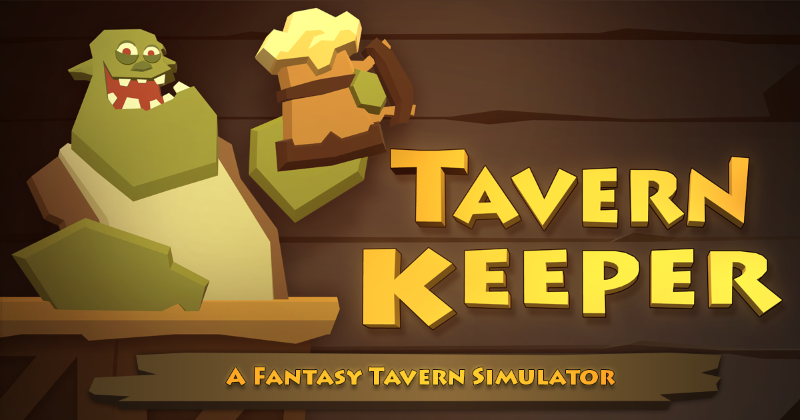 It’s the perfect sort of game for mobile devices and there’s so much to do here […] all players owe it to themselves to check out this great port. 1,463 copies in 24 hours is pretty good for a first game on a platform but if you take into account our audience and if we compare this data to other platforms and to the amount of copies we have to sell to break even on the mobile version, it becomes more sobering. Even on the Windows 8 Store, back in 2011 when we had an audience reach of zero and very few people had Windows 8 (and even fewer wanted to have anything to do with the Store app on it), we sold around 450 copies on day one. Given the massive reach of iOS, the much lower price ($4.99) and given that we (tried) to reach our audience we certainly hoped for a better launch day. To give another comparison, when the game launched on Steam we sold substantially more on day one. The reason Steam was such a strong release for us was primarily because Steam had us featured on the front page. After the piracy story went viral in early 2012 and we had all the attention of the world (it felt like it anyway) we didn’t actually do the smart business thing and rush the game on Steam but instead disappeared for over three months to polish the game based on feedback we’d received from our players. Quality-wise this was an important decision. Our initial release has a Metacritic rating of 68%, but after the changes we made for the Steam release, we got a 95% user approval rating from Steam players. If Steam hadn’t featured us at launch though, I don’t think we would have reached the critical mass that makes word-of-mouth effective… bringing me to the next point: marketing. We suspected that Apple would not feature us on day one, so we set our goal to try to rally our audience behind the release on launch day to get the first important positive boost. 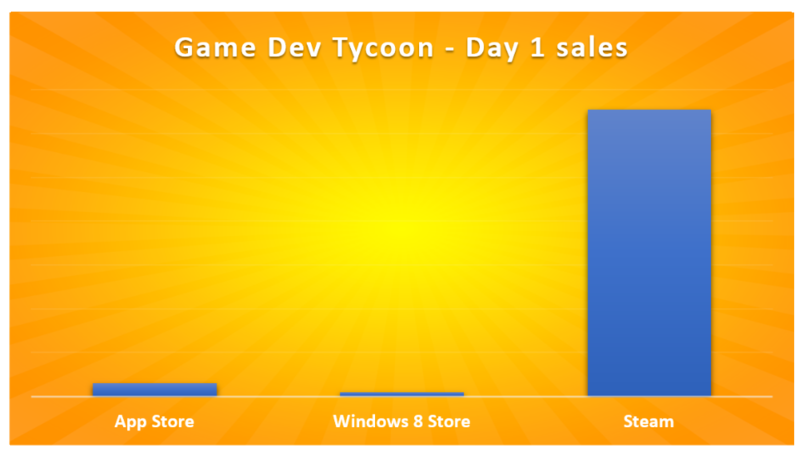 Part of the reason we were confident to invest into a good Game Dev Tycoon port (Rarebyte, our development partner, spent over a year creating the port), was that we have a larger audience than the usual indie game studio. 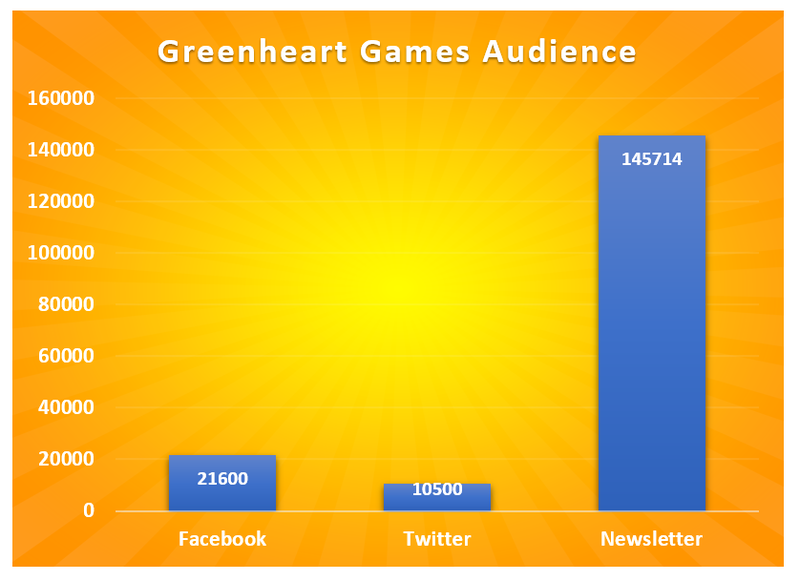 We have a decent following on Facebook (GreenheartGames 7K, Game Dev Tycoon 13K , TavernKeeper 1.6K) and Twitter (Greenheart Games 8.4K, Tavern Keeper 2.1K) but our real star is our newsletter which has a staggering 145,714 recipients. What’s more is that the vast majority of these recipients bought Game Dev Tycoon in the past and are simulation game fans. We treat our newsletter with a lot of respect and only use it when we have big news, sometimes going nearly 600 days without sending something as we really don’t want to inconvenience people. This has worked really well for us in the past as the few times we do actually send a newsletter, we reach a open rate of nearly 40% (industry standard: 20.82%). Our thinking thus was simple: Make a good port that also offers something new and write a straightforward and nicely formatted email bringing people directly to the iOS store. We sent the newsletter out in time for the US mainland to see. Sadly though, the result over the next 24 hours was underwhelming: an open rate of 13% and a click rate (on the image or link to the App Store) of 2.41% which is both well below the industry standard. This means that on launch day from our 145K-strong newsletter readership, only 3,509 people clicked on the link. I’m not sure what the cause of this low rating was but people live busy lives and we are not entitled to their time! We will simply try to reach our audience again in the next few days. Unfortunately, for many of those people who did click the link, the link didn’t seem to work and they couldn’t find the game in the App Store. Apple says that it can take up to 24 hours for the Store to be updated and show new releases. They are not kidding. We sent our newsletter out six hours after the game release (after we had tested the game link extensively among the team and our friends) but even 18 hours after release people were still saying that the link resolved to nothing. Game Dev Tycoon was also not showing up in search results and we were simply not visible in the Store for the clear majority of the day. This was rather stressful and unexpected. We certainly would consider a soft launch next time we release something on the App Store. To try to increase our initial reach we ran a thunderclap campaign (thanks for everyone who signed up) and we were happy with the result but should probably have pushed this more and earlier. Our announcements (Twitter, Facebook) did reasonably well too but the sad fact of the matter is that the followers you have on social media are largely unreachable unless you spend heavily on advertising. 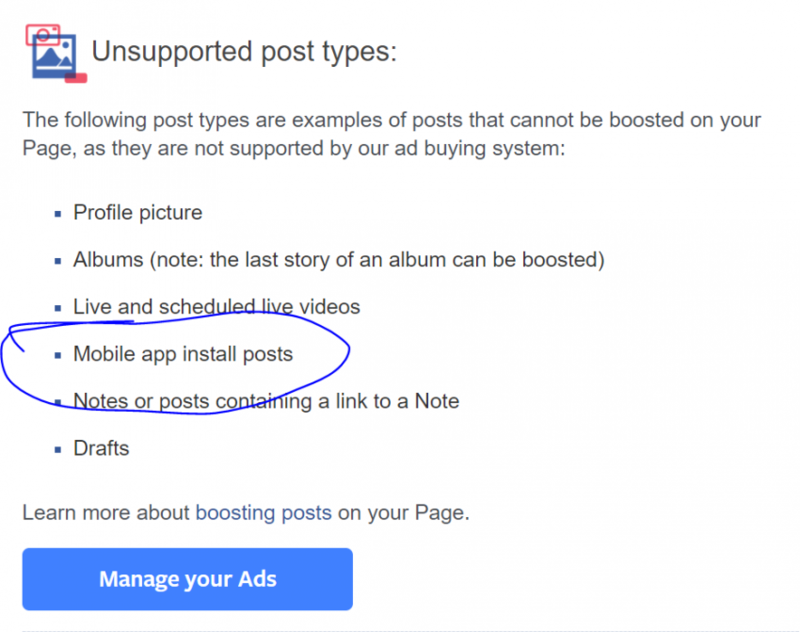 Regardless, we couldn’t afford to invest much in social media boosts anyway. The game is only $4.99 and has no further monetization (no ads, no in-app purchases) and given that Apple still takes a cut, I suspect there is not much point in paying $2+ to get someone to install the game. (We are running a trial on Facebook though, so we’ll see what those results will be next week). During the end of the first day, we did show up in Top Paid games’ charts across the world which, given the sales numbers, was surprising. In the US we made spot 42 under Top Paid and in many ‘Strategy’ lists we were in the Top 20. If you are wondering what Rank 42 in Top Paid relates to in Top Grossing category, the answer is apparently Rank 1,560+ which, together with our earnings from our first day, just highlights how steep the Top charts on the App Store fall. I suspect for premium games, if you are not in the Top 30, you are not very profitable (though this is all based on App Annie rather than data from Apple so take it with a grain of salt). Release day is always stressful and exciting at the same time. On one hand you are faced with unexpected technical issues and simply a lot of unknowns, all of which is emotionally draining. On the other hand, you get to see first reactions and wonderful people share their experiences and enjoy the launch with you. As developers, we spend years behind the screen working quietly on our games with almost no input from anyone so it’s really fantastic to then see so much joy from players. And if you enjoy the game, leave a positive rating or consider helping in other simple ways 💚. Comment thread for this post is here. Part 2 of our report is here.